Uploading and downloading of NH000-NH4 insert type’s fuses of all size to and from the bases. Reliable insulation. Safe and convenient operation. Small manual power requirements. Rated insulate voltage up to 1000V. Working frequency AC50Hz. 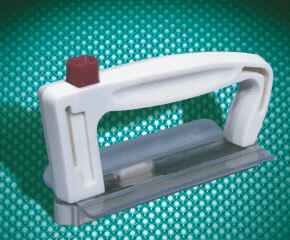 The fuse carrier is made up of catching holes, push button, guard board and handle. There are three positions for the catching holes, for NH000-NH00, NH0-NH3 and NH4 fuse.